We have done all we can to think of everything to ensure a great stay. Please review and let us know if you have any questions. ****As Far as the House - It is beautifully renovated and designed. And we believe we have thought to include ever appliance and comfort you would need. 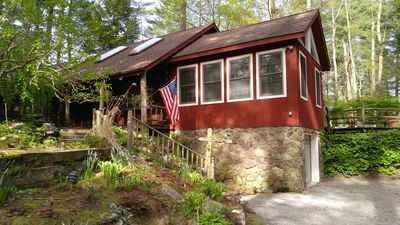 ****For Summer - The house rests on 5 acres, with beautiful trails, littered with blackberry bushes, two fire pits, and a large red barn that was built in the 1800s. 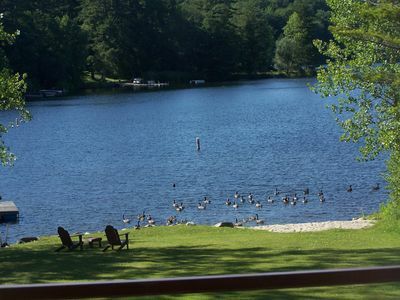 The property stretches to Lake Garfield, where a large private dock, large floating dock, and a host of boats and Kayaks are available for your personal use. In addition to the lakefront, a large private deck, with chairs, tables, and hammocks overlook the Lake Garfield for an amazing view. 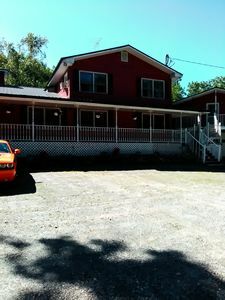 The house is also open to dogs and property has a large gated dog track. 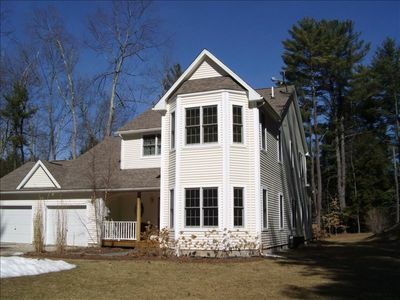 ****For Winter - The house is both 5 miles away from both Butternut and Otis Ridge and about 15 miles from Catamount. 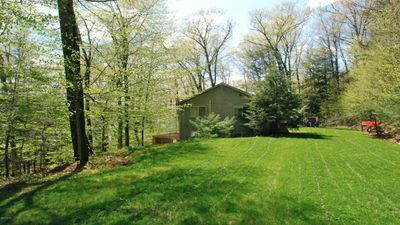 This newly renovated, waterfront property and home uniquely combines an ideal Berkshire location for privacy, land, and comfort, and fun. 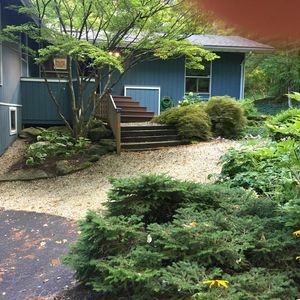 Simply Put, it will be very tough to find another property in the Berkshires that includes private lakefront access with such acreage. Its size, layout and amenities can provide either the comfort for relaxation and can be an ideal setting for large families. On the first floor of the house, guests will find a beautiful living room, designed for relaxing, playing games, or watching movies. The centerpiece of the room is a fieldstone fireplace. 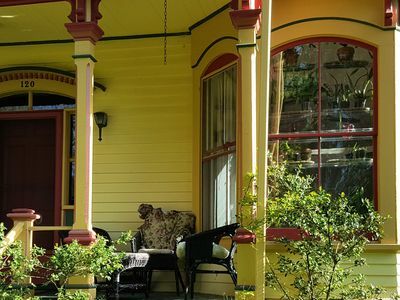 The first floor also features a dining room that seats 10, a gourmet kitchen with every amenity you can think of, a lighted screened in porch, and a wrap-around outdoor porch. 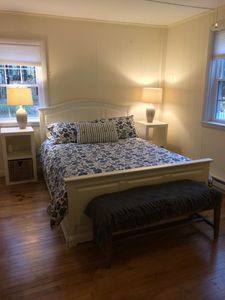 On the second floor, guests will find a master bedroom and private bath, two separate guest rooms with additional bathrooms, and a bunk room designed for children that can sleep six. 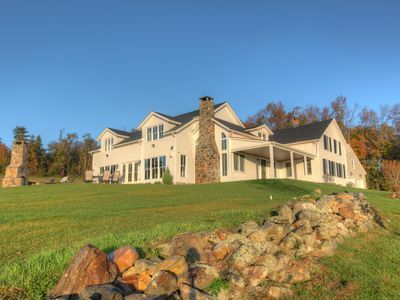 Outside, a large barn, originally built in the 19th century, overlooks the property. Guests will have the unique opportunity to enjoy both a beautiful lake and 4 acres of property with specially designed gardens and paths that lead to private access to Lake Garfield. 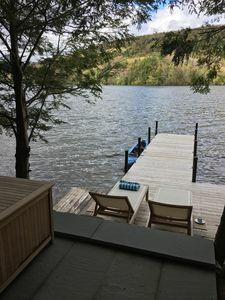 The Lakeside of the property includes a wonderful private deck with a masterful view, a private dock with canoes, a floating swimming dock and lots of water toys. It should be noted that Lake Garfield is the most beautiful lake in the Berkshires because it is the only one managed for weed control. The water is lowered each winter to kill off the weeds, so the water is clear and weed free. 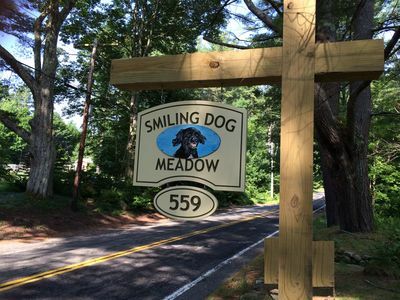 The property is located in the quaint village of Monterey, MA, which includes the oldest General Store in the County, a Post Office, a town beach, playground, a wonderful library that hosts events throughout the year, a just built community center, and wonderfully kind people. 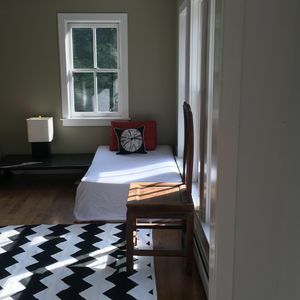 The property is 15 minutes from the restaurants, galleries, shops, concerts and theaters of Great Barrington (rated one of “the coolest small towns in the U.S.A” by Budget Travel magazine). 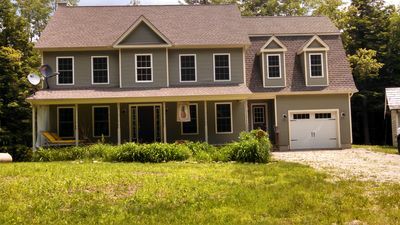 The property is also 15 minutes from the towns of Lenox, Stockbridge, and Lee. 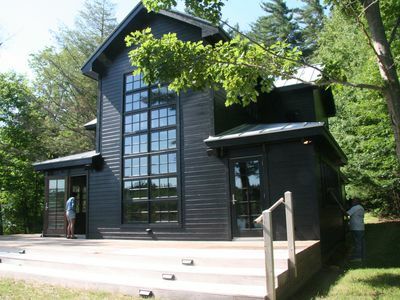 In the summer, you can enjoy Tanglewood, Jacob’s Pillow, Shakespeare & Company, the Berkshire Theater Festival, Williamstown Theater Festival, the Norman Rockwell Museum, Edith Wharton’s home and numerous other cultural attractions. 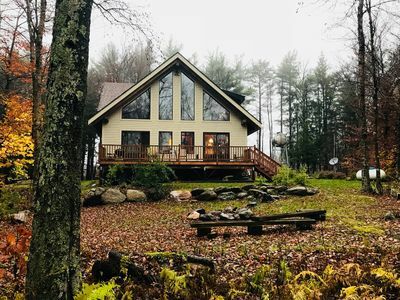 The house is also a very quick drive to top-notch hiking and outdoor spots such as the Appalachian Trail and Beartown State Forest. 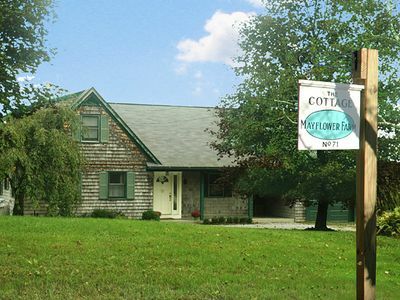 In the Winter, the house is located only minutes from the ski areas of Butternut, Otis Ridge, and Catamount. GORGEOUS Modern Lakefront (& Ski) House!